French food … where to begin? this page is likely going to get updated and expanded often, so bear with me! 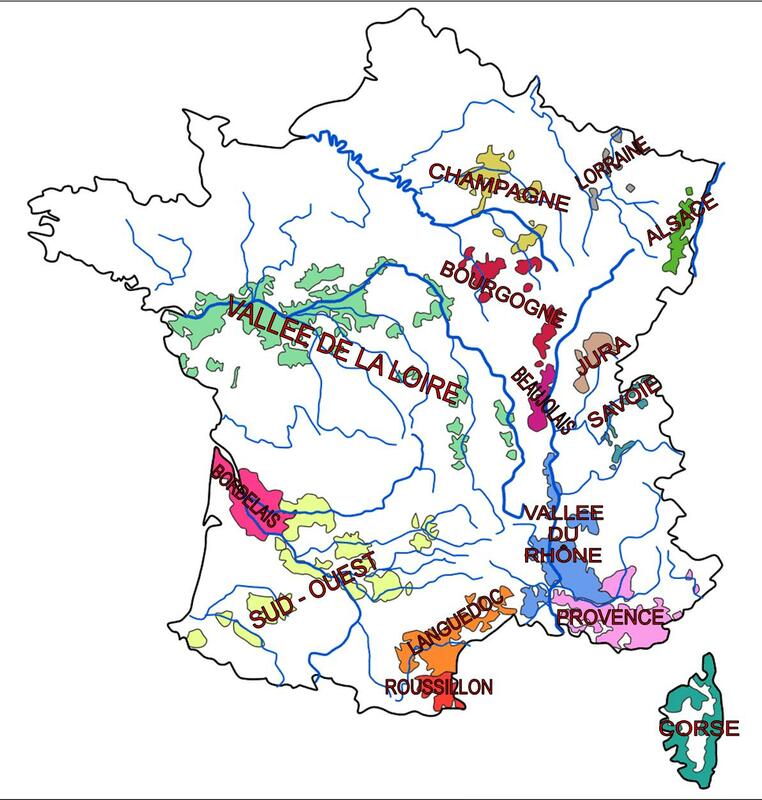 In class we went over the many regions in France and the foods they produce… here’s a map I found (public domain) that will help with explaining what regions produce what and why. Let’s start with the Loire Valley. Its the light green area in the middle of France. The cities of Tours is in the valley. Its famous for its crisp white wines and delicious spring vegetables. Goat cheese is also made here, as well as a meat ‘spread’ similar to pate known as ‘Rillettes’. Moules Marinières, mussels in white wine sauce is also a local speciality. Various petite goat cheeses such as Valencay are also made here due to the large population of local goats. Lets move to the coast, to the city of La Rochelle in the cognac region famous for its red wines, particularly pinot noirs & cognac sits on the atlantic coast. This region has produces numerous local foodstuffs, amongst them, mushrooms, cherries, ducks, geese, prunes, nuts and butter. North a little further along the coast brings us to Brittany. On the map above its the part that kind of sticks out to the left. This region has a lot of shellfish, sea salt, and other seafoods. This area is also very grassy allowing for cows, and with that, milk, butter, and cow’s milk cheeses. A little east of Brittany and a little inland, lies the region of Brie, famous of course, for its creamy cows milk cheese that has the same name.